Justin is Associate Professor and Director of the UA Environmental Science Program. 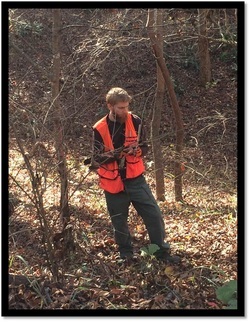 Justin's primary research interests are in forest stand dynamics. He is particularly interested in forest developmental and successional processes and patterns and forest disturbance ecology. Justin uses his research results to inform silvicultural practices to accomplish a range of management goals. He is also interested in natural areas management and frequently works in collaboration with public and private land managers. Justin serves as Associate Editor for Forest Science and on the Editorial Boards for Forest Ecology and Management, Forestry, and Forests. Prior to joining our lab, Jonathan received a BA in Ecology and Evolutionary Biology from the University of Colorado. He interned as a biological science technician with the National Park Service in Georgia and with the Bureau of Land Management in Idaho. Jonathan earned his MS in the lab in 2017 and is now a PhD student. His dissertation research focuses on the interacting effects of wind disturbance, salvage logging, and prescribed fire on plant succession and stand development in longleaf pine woodlands. This research may inform management designed to enhance native forest diversity and ecological resilience. Davis joined the lab as a senior in the UA Environmental Science Program. Davis completed his MS in the lab in 2019 and moved directly into our PhD program. As an undergraduate, he co-led a project to analyze the relationships between canopy disturbance events and structural complexity in upland oak systems on the Cumberland Plateau. Davis also led our efforts to test the efficacy of restoration treatments to enhance resiliency to extreme climatic events in longleaf pine woodlands. 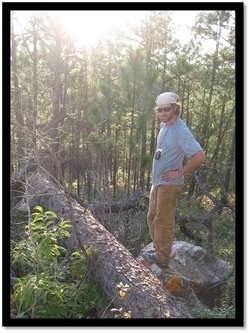 For his MS thesis, Davis studied edge influence caused by catastrophic wind disturbance in longleaf pine woodlands. Davis is now focused on silvicultural methods to create and maintain mixed pine-oak stands for his dissertation research. Xandra received her BS from Syracuse University in May 2018 with majors in Geography and Biology, with a focus in Environmental Science. While at SU she worked as an undergraduate researcher in the Parks Lab. During her time there, she completed two undergraduate research projects which both examined animal communication — one dealing with katydids and the other with penguins. She joined our lab in August 2018. 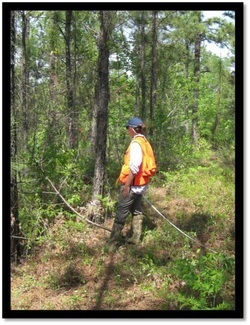 Xandra is currently working to reconstruct forest conditions in Alabama prior to widespread European settlement. Her thesis examines the significance of coarse woody debris on plant species composition and forest floor substrate composition in longleaf pine stands. Raien is a NOAA Hollings Scholar and will hold an appointment with the NOAA Northwest Fisheries Science Center this summer. She joined our lab as an undergraduate technician in 2016 while a sophomore in the UA Environmental Science Program. She has assisted with a variety of tasks on a wide range of projects in the lab. 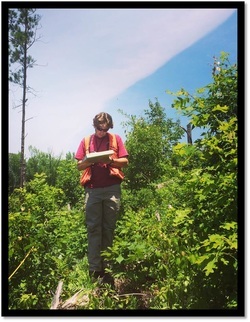 She is currently leading our efforts to quantify fuel and soil conditions following wind disturbance, salvage harvesting, and prescribed fire as part of our ongoing work in longleaf pine woodlands of the Alabama Fall Line Hills. Results of this research will aid forest managers in applying prescribed fire to achieve desired conditions in mixed pine-hardwood stands. Raien is also on the UA rowing team and she spends a lot of mornings on the Black Warrior River. Laney is in the UA Emerging Scholars program and she has worked in our lab as an Undergraduate Research Assistant since January 2017. Laney worked on a study to test the efficacy of restoration treatments (i.e. thinning and prescribed fire) to enhance resiliency to extreme climate events in longleaf pine woodlands in the Fall Line Hills. Laney is also leading our continued efforts to monitor the response of saprotrophic and ectomycorrhizal fungi to wind disturbance, salvage harvesting, and prescribed fire in pine woodlands. 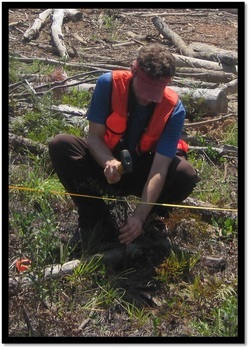 In addition, Laney is working to reconstruct vegetation patterns in the Alabama Fall Line Hills. Jon joined our lab as an Undergraduate Technician during his sophomore year in the UA Environmental Science program. As a technician, Jon helped on a wide range of projects. In 2018, Jon moved into the role of Undergraduate Research Assistant with our group. Currently, he is working to quantify species composition and age and stand structure in a multi-aged, montane longleaf pine stand in Alabama. Jon's research findings will help improve our understanding of longleaf pine stand development and the role of disturbance in shaping patterns of composition and structure. Our lab greatly benefits from the many undergraduate lab and field technicians that assist with most of our research projects. These students are important and valued contributors to our group. We support undergraduate students each semester including the summer term. Undergraduate students may also work as Research Assistants and assume leadership roles in ongoing projects. Research Assistants usually begin as technicians in our lab. We encourage undergraduate students that are interested in forest science and management and enjoy teamwork to contact us about opportunities. Carson joined our lab in 2016 after earning a BS in Forest Resource Management with a minor in Plant Pathology from the Department of Forestry and Environmental Conservation at Clemson University. While an undergraduate student, Carson worked on two national parks and was involved in a variety of research projects. 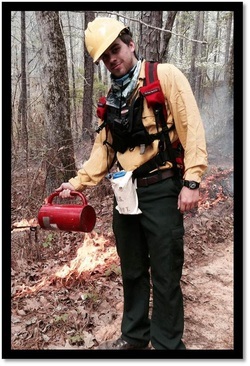 For his thesis, Carson quantified the effects prescribed fire frequency on ground-layer flora in thinned pine-hardwood systems on the Cumberland Plateau in Alabama. Carson also assisted on a project that analyzed the relationships between canopy disturbance frequency, species diversity, and structural complexity at intra-stand scales. After finishing his MS, Carson accepted a position as Lead Field Technician for the National Ecological Observatory Network. Prior to joining our lab, Kevin earned a BS in Ecology and Evolutionary Sciences and a BS in Environmental Science and Technology from the University of Maryland. As an undergraduate , Kevin worked in multiple research labs, participated in a NSF funded REU project, and authored a manuscript on the effects of reduced iron and magnesium on the growth and photosynthetic performance of Phragmites australis. For his thesis, Kevin analyzed the impacts of thinning and prescribed fire on ground-layer flora in mixed pine-hardwood stands. Kevin also led two other projects and was vital to launching several others. Kevin is now working on his PhD through the Earth Systems Ecology Lab in the Department of Biology at the University of New Mexico. Scott earned a BS in Environmental Geosciences from the University at Buffalo in 2012. After graduating he worked for The Nature Conservancy and then for Invasive Plant Control, Inc. before joining the lab in 2015. 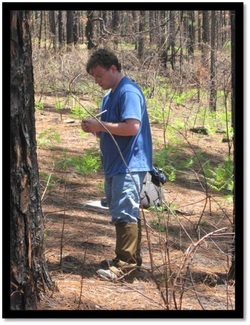 For his thesis, Scott analyzed the macrofungal community response to a range of disturbances in longleaf pine ecosystems. Scott also led our efforts to quantify disturbance and developmental history of a multi-cohort hardwood stand in the Fall Line Hills. After earning his MS, Scott worked as a researcher at the Wayqecha Cloud Forest Biological Station in Peru and as administrator at AmaZoonico in Ecuador. He is now working toward his PhD in the Department of Geosciences and Natural Resource Management at the University of Copenhagen in Denmark. Ben earned a BS in Environmental Science from UA in 2012. He then worked as an Environmental Inspector with Westinghouse Anniston and then as a guide and outfitter in Colorado prior to joining our lab as a graduate student. For his thesis, Ben compared the effects of intermediate-scale wind disturbance and intermediate silvicultural treatments in mixed oak-pine stands on the Cumberland Plateau. His results were used to inform tending and harvest treatments in mixed pine-hardwood stands. While in the lab, Ben published our findings and presented at meetings in Missouri and Mexico. He now lives in Seattle, Washington and works as an outdoor guide. 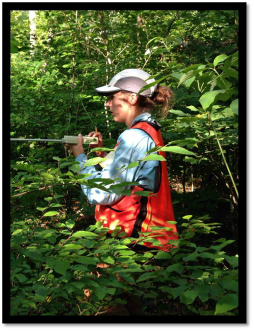 Lauren joined our lab as an undergraduate student in the Environmental Science Program in 2012. Her senior year she led a research project to document two centuries of change in forest composition and structure in the Alabama Fall Line Hills. Her thesis was focused on analyzing the spatial patterns of canopy damage and structural complexity along a disturbance severity gradient in upland oak stands. In addition to her thesis research, Lauren was actively involved in a number of other projects. While in the lab, she won numerous awards, published many papers, and presented at conferences in the US and Mexico. After finishing her MS, Lauren continued on to pursue a PhD in silviculture through the Department of Environmental Science, Policy, and Management at UC Berkeley. Amanda joined our lab in 2013 after earning a BS in Environmental Science from UA. As an undergraduate student Amanda worked as a research technician on projects in aquatic ecosystem ecology. In this position she traveled to Iceland to assist with field data collection. For her thesis she analyzed the spatial patterns of oak regeneration and subcanopy insolation across a canopy disturbance severity gradient in an upland oak stand on the Cumberland Plateau in Alabama. Amanda published our findings and made presentations at meetings in Illinois, Georgia, Tennessee, and South Carolina. After finishing her MS, she accepted a position with Quantum Spatial in Portland, Oregon. Amanda now works for the Cascade Forest Conservancy. Jared worked as an undergraduate research assistant in our lab for two years. 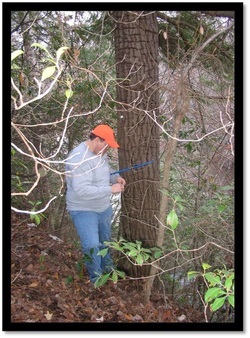 In this position, he assisted with field sampling for a variety of projects and he took a leading role with our re-inventory of eastern hemlock stands at the southern range boundary for the species in Alabama. He published a paper from that effort. 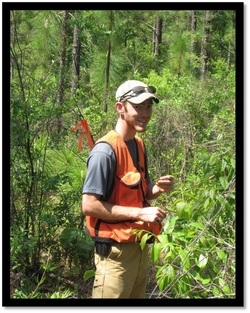 In addition to these duties, Jared worked on the Talladega National Forest through his position in the lab. After finishing his degree, Jared worked as a Forest Technician with the Kentucky Natural Lands Trust and then accepted a position as Wildlife Specialist with USDA APHIS Wildlife Services. Merrit worked in our lab as an undergraduate technician before enrolling in our MS program in 2012. 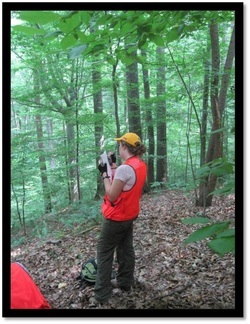 For her thesis, she analyzed the impacts of intermediate-scale disturbance on species diversity, composition, and structure and compared the impacts of natural disturbance to silvicultural operations in hardwood stands on the Cumberland Plateau in Alabama.Notably, Merrit won the Oustanding Environmental Science Major Award as an undergraduate and the Outstanding Graduate Student Award as a MS student. After graduation, Merrit began working as an Environmental Scientist with Kimley-Horn and Associates, Inc. first in Fort Lauderdale, Florida and now in Dallas, Texas. Stephen earned his BS in Environmental Science from UA and as an undergraduate student he worked in our lab and with the USDA Forest Service on the Talladega National Forest. His thesis was focused on the effects of intermediate-scale wind disturbance on developmental and successional pathways in upland hardwood stands on the Cumberland Plateau. While in our lab, Stephen authored two articles and presented research at four conferences. After finishing his MS, Stephen was a Biological Technician with the US Bureau of Land Management in Colorado and he was an AmeriCorps VISTA with the US Fish and Wildlife Service. He worked on the Mountain Longleaf National Wildlife Refuge and is now on the Bankhead National Forest, where he conducted his MS research. Tom joined our lab in 2012 after completing a BS from Catholic University of America, earning a professional certificate in GIS, and working for several federal agencies and NGOs. 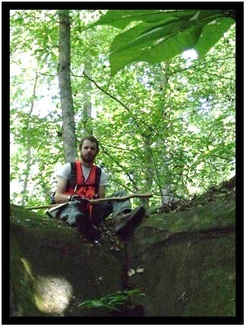 His MS thesis research was focused on natural gap-scale disturbance and successional processes in mixed pine-hardwood systems on the southern Cumberland Plateau in Alabama. Tom produced an article and presented our findings at three research conferences. After earning his MS, Tom accepted a position in northern California as a Forestry Technician with the Pacific Southwest Research Station of the US Forest Service and then held a position in Alaska with the US National Park Service. He then worked in Pennsylvania as a Forester with the Northern Research Station of the Forest Service and is currently a Forester with the Rocky Mountain Research Station in Ogden, Utah. Keelin joined our lab in 2011 after completing her undergraduate studies at the University of New Orleans. Her graduate program was focused on natural resources management and biological conservation. 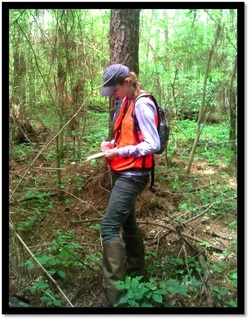 For her MS thesis, Keelin performed a gap analysis of nature reserves in Alabama. She analyzed reserve size, isolation, and distribution across ecoregions to assist conservation planning in the state. As a byproduct of her research, she created the first comprehensive georeferenced database of reserve lands in Alabama. Keelin published our findings and made presentations at meetings in California and North Carolina. Since completing her MS, Keelin has worked for non-profit organizations and she lives in Chicago. Craig earned a BS in Geography from the University of North Alabama before joining the lab in 2009. He brought extensive experience with geospatial technology and in our program focused his attention on ecological plant geography. For his thesis research, Craig examined the population dynamics of sugar maple throughout the southern portion of its range. He used Forest Inventory and Analysis data from the USDA Forest Service to examine regional-scale patterns. After finishing his MS, Craig accepted a position as an analyst with an environmental consulting firm in Alabama. Rebekah joined the lab in 2009 after completing a BA in Urban Environmental Studies from Birmingham-Southern College. As an undergraduate RP spent nine weeks working on research projects at La Selva Biological Station in Costa Rica. Her thesis research focused on the analysis of riparian and in-stream large woody debris across contrasting forest ages on the Cumberland Plateau in Alabama. In addition to publishing her work, she made presentations at meetings in Washington, Alabama, and Georgia. After completing her MS, Rebekah worked as Land Steward and then Director of Conservation for the Freshwater Land Trust. She is now raising a family and serving as Instructor of Urban Environmental Studies at Birmingham-Southern College. Megan joined our lab after earning a BS in Geography from UA. 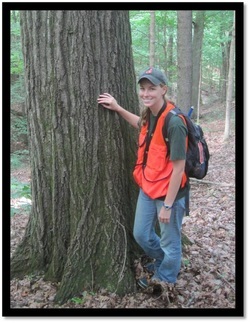 Her thesis research focused on documenting canopy disturbance patterns in old-growth white oak stands throughout the eastern US. She produced multiple manuscripts from the work. While in our lab Megan won numerous grants and awards. She was funded as a Research Assistant on a project sponsored by the USDA Forest Service and in this position she was a vital contributor to a number of research projects. After graduating with her MS, Megan accepted a fellowship to pursue a PhD at the University of Minnesota where she continued her research on oak regeneration. She is now ABD and is employed as Research Silviculturist with the Missouri Department of Conservation. 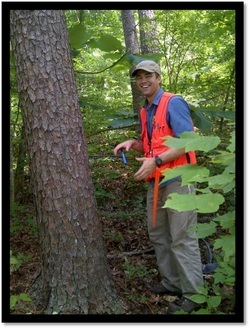 Jacob's thesis research focused on gap-scale disturbance processes in mature oak stands on the Bankhead National Forest. Jacob published his results and presented the findings at the Annual Meetings of the Alabama Academy of Science and the Association of American Geographers in Seattle. Jacob joined our lab after receiving a BA in American Studies and Environmental Studies from UA. While here, he was heavily involved in department outreach activities. After finishing his MS, Jacob worked with the USDA Forest Service through the AmeriCorps VISTA program and he is now the Natural Resource Specialist on the Talladega National Forest, Oakmulgee Ranger District. Michael was a Biological Sciences major and a Geography minor at UA. He worked in the lab to compare the influence of climate and disturbance on the radial growth of three common hickory species in the eastern US. His project provided information on the life history and ecology of these species. Before taking on a research project in the lab, Michael spent a summer assisting us with field data collection on the Bankhead National Forest. After completing his BS, Michael began working for a non-profit organization. Brent explored the relationships between height and diameter for four oak species across contrasting site and growing conditions. 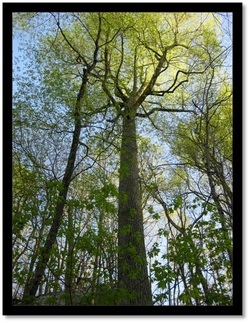 The results provided information on the influence of growing conditions on tree architecture. Brent presented our findings at a research conference on campus and at the Annual Meeting of the Association of American Geographers. After graduating with his BS, Brent went on to earn a MS through the College of Natural Resources and Environment at Virginia Tech and then he accepted a position as Research Viticulturist with E and J Gallo Winery in California. David worked in the lab to compare the radial growth responses of sugar maple, red maple, and tulip-poplar to small canopy openings in mature stands. This research provided information on the ecophysiology of these contrasting species, the successional trajectory of the forest, and the applicability of these species for canopy disturbance reconstructions. David presented his results on campus and at the Annual Meetings of the Association of American Geographers, the Southeastern Division of the AAG, and the Association of Southeastern Biologists. After finishing his BS, David earned a graduate degree in geography at Appalachian State University. 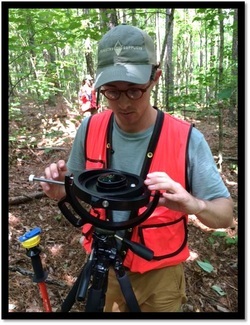 Matt worked in the lab to help analyze the climate-growth relationships and disturbance history of eastern hemlock at the southernmost limit of its range. Matt's research constituted his senior capstone project and he presented the findings at a research conference on campus and at the Annual Meeting of the Association of American Geographers in Boston. After graduating with his BS, Matt accepted an environmental science position with the federal government on the Redstone Arsenal in Huntsville, Alabama.